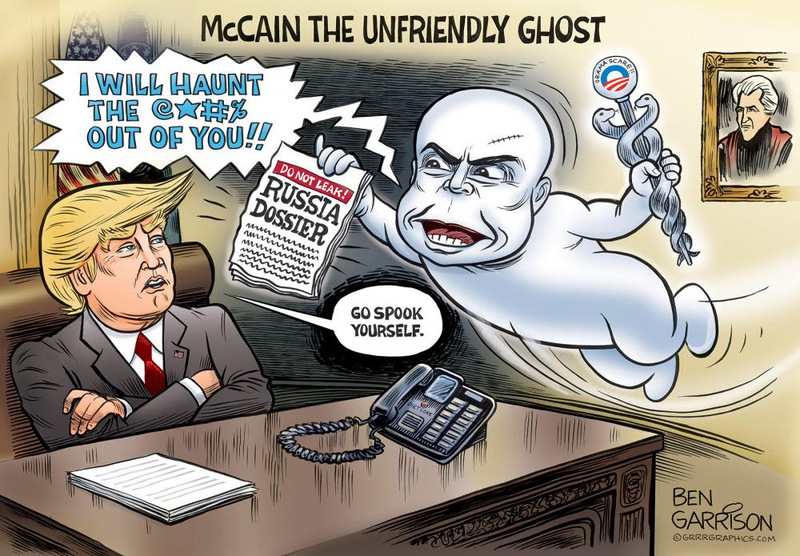 It has been confirmed that McCain helped distribute the phony “Russia” dossier to the FBI and Media. McCain voted No on repealing Obamacare and destroyed the Republicans chance to end it for once and all. The Deep State and their enablers love to call McCain “Hero”, when actually he is a zero. McCain has done nothing to help his fellow veterans. McCain was a warmonger and pushed for America to become stuck in the Iraq and the Middle East. The McCain family has never thanked President Trump for honoring McCain at the funeral. We hope “NoName” is enjoying himself in the “warm” climes of eternity. SOTN Editor’s Note: Now, here’s some hard evidence that backs up the key points made above about the ever-treacherous John McCain.